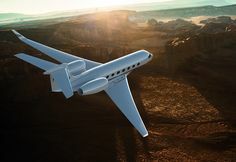 SAVANNAH, Georgia, August 9, 2018 — Gulfstream Aerospace Corp. has expanded its relationship with Prestige Jet, its independent sales representative in France, Italy and Switzerland, by adding the Benelux (Belgium, Netherlands, Luxembourg) region to the company’s sales responsibilities. Switzerland-based Prestige Jet sells new and pre-owned aircraft, placing importance on confidentiality and safety, while providing first-class service. The company has solidified its reputation as a reliable aviation partner capable of contributing country-specific expertise, which will advance sales efforts in the Benelux region. Prestige Jet, led by CEO Thierry Le Tourneur, will work closely with Brian Jones, regional vice president, Sales, Northern Europe, Gulfstream; and Trevor Esling, regional senior vice president, International Sales for Europe, Russia and the Commonwealth of Independent States, Gulfstream.